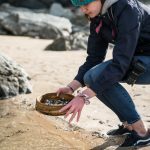 21,000 volunteers clear 35 tonnes of plastic pollution from beaches and rivers in the UK’s biggest ever Autumn plastic clean up. 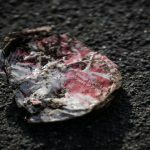 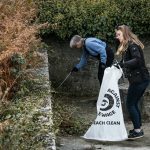 The increased awareness of plastic pollution amongst the public led to 100 more cleans than the same time last year, 26% over previous records. 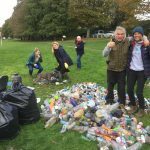 More than 27,600 single-use drinks containers of all different sizes were monitored and recycled during the clean, collecting invaluable data for us to share with the Government in a consultation on a new Deposit Return Scheme for all plastic drinks bottles. 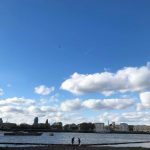 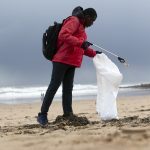 Over 21,200 volunteers of all ages took part in cleans at over 487 beaches, river banks and lakes, across the UK to remove a staggering 35.9 tonnes of marine plastic pollution, the equivalent of 8,991 full bin bags. 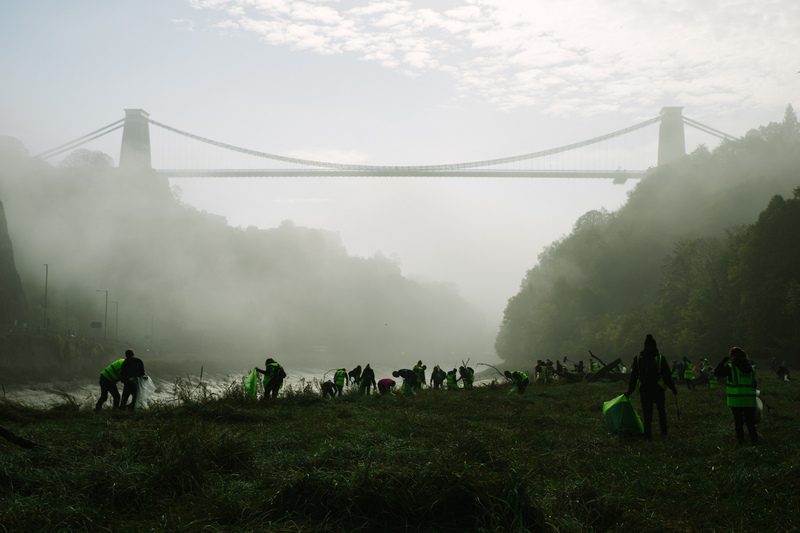 73,454 volunteer hours were donated across the Autumn Beach and River Clean. 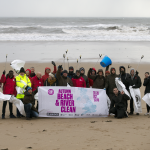 As the weather changed, the nights began to draw in and the summers warmth became a distant memory, our intrepid army of volunteers descended on beaches and waterways across the UK for the biggest Autumn Beach and River Clean ever. 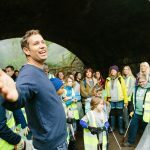 This mass community mobilisation was in answer to the call issued by us in light of the plastic pollution found on our shorelines, made worse by recent storms. 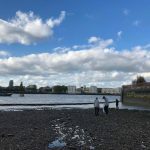 The Thames foreshore getting cleaned. 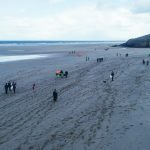 An interesting backdrop for a ‘beach clean’! 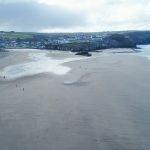 The beach clean series was organised by us and supported by our partners Greggs, The Environment Agency, British Canoeing, Ecover, Parley For The Oceans, REN Skincare, Surfing England and WSL Pure .